I strongly recommend investing in a set of envelope liner templates. Once you have them on hand, you’ll use them over and over and over again. No matter what size card you’re sending, you can add some major pizzazz with nothing but a coordinating sheet of patterned paper. Cut an envelope liner out of the fine paper, insert into the envelope, and adhere with a glue stick. 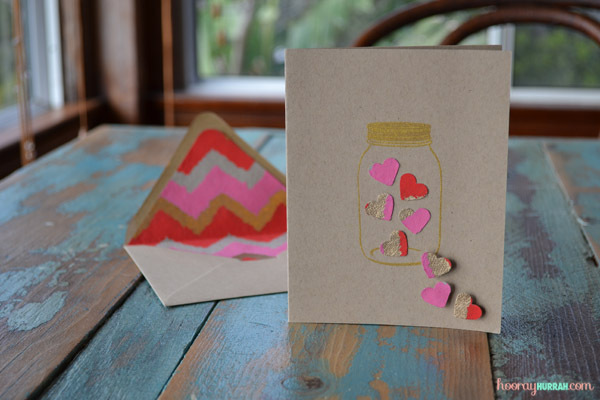 Stamp a canning jar in the center of your card. 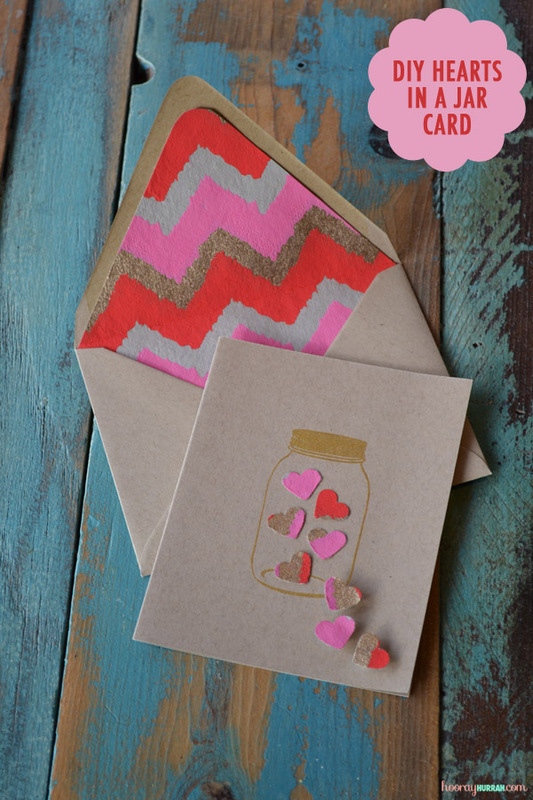 Punch several hearts out of the same paper you used for the envelope liner, and glue inside the canning jar stamp. 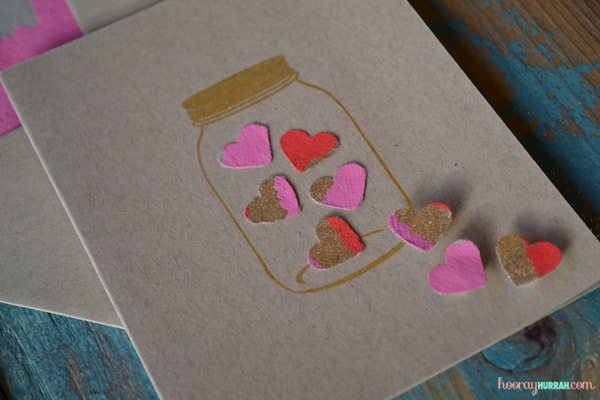 Use 3D foam squares to adhere the last couple hearts that are outside of the jar to give your card depth. This entry was posted in Decor + DIY, DIY and tagged card, craft, diy, pink, red, valentine, valentine's day. Bookmark the permalink.